Support the health and wellness of your child before the little tyke is even born with Spectrum's Prenatal DHA. 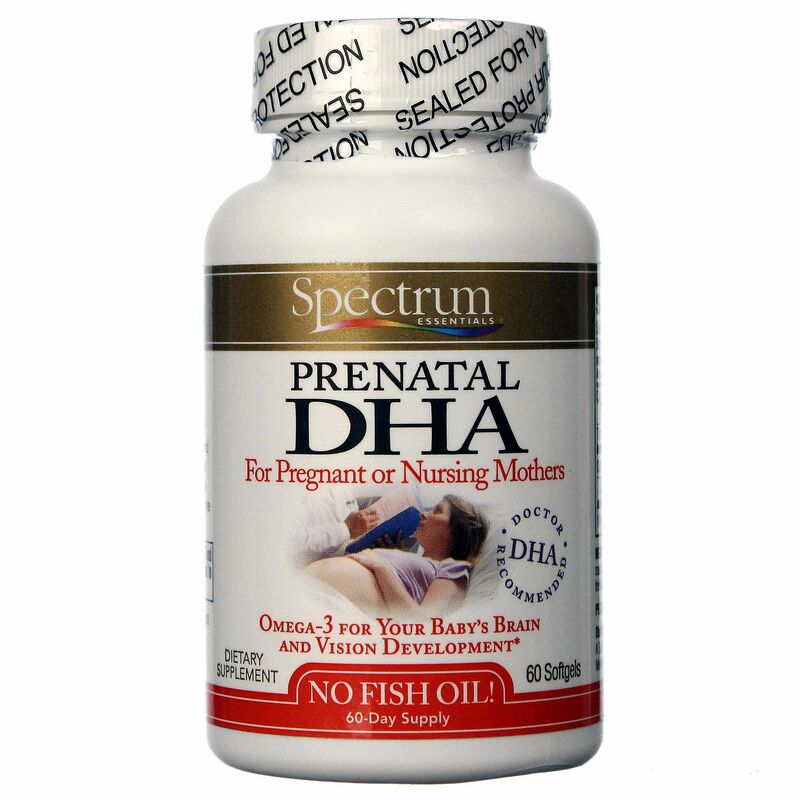 Prenatal DHA provides a healthy dose of DHA and omega-3 fatty acids, both of which are essential for proper neurological development in unborn fetuses. Omega-3 fatty acids are considered essential nutrients, or nutrients our body cannot produce and must be absorbed throught the food we consume. 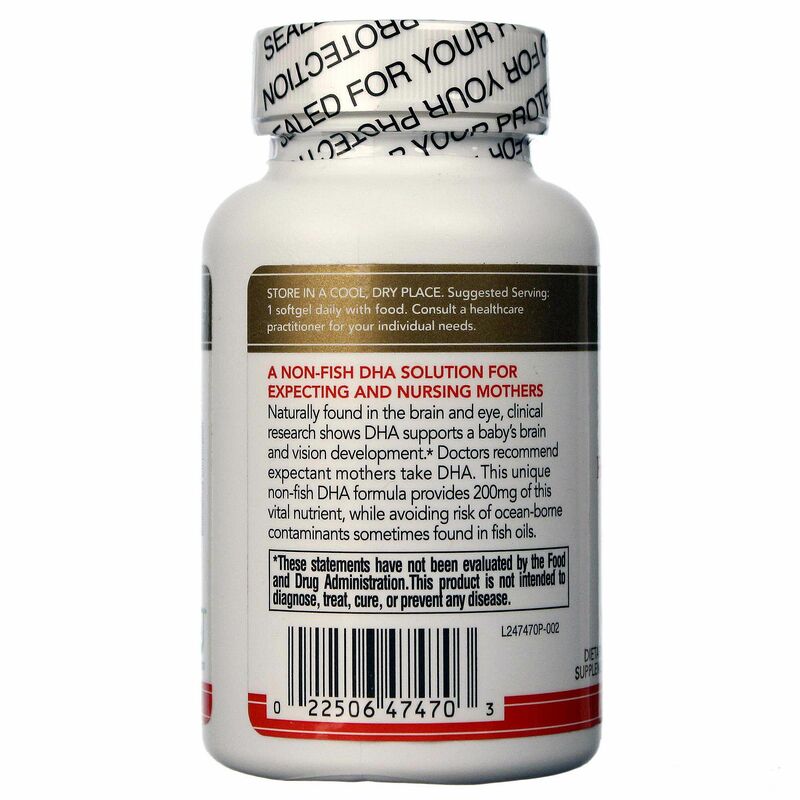 Both DHA and omega 3s play a key role in the neurological development of babies, and also help in the development of their central nervous system. Ensure your child recieves the proper nutrients to develop a normal, healthy brain and nervous system with Spectrum's Prenatal DHA. Order a bottle today and save more, only at eVitamins! Advertências: With this and all other dietary supplements, you should seek the advice of your licensed health care professional prior to using this product, especially if you are taking any other medications (prescription or over-the-counter) or if you have an existing medical condition. Keep out of the reach of children. Store in a cool, dry place. Use only as directed. These statements have not been evaluated by the U.S. Food and Drug Administration. 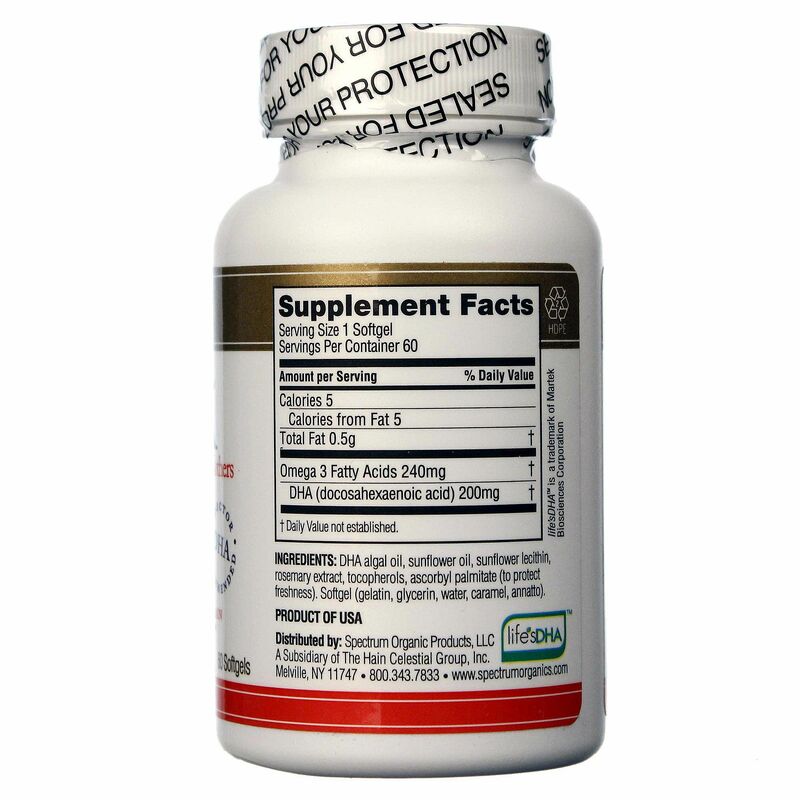 This product is not intended to diagnose, treat, cure or prevent any diseases or medical conditions. 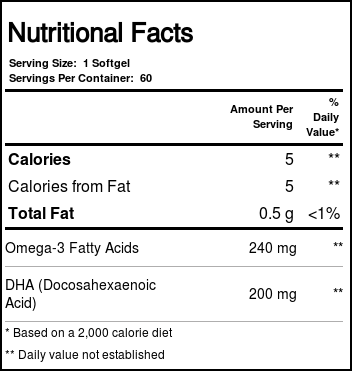 Notas: No fish oil. Made in the U.S.A.
Recomendações de uso: Take 1 softgel daily with food or 8 oz glass of water, or as directed by your licensed health care professional.